In the BOM the Worm Mount shows C1061-5 and C1061-6, with a quantity of 4. Is that 4 of each -5 and -6? Or 2 each of -5 and -6? I will be using Stepper motors, so I won’t need the encoder parts, C1040-1 (Encoder Gear), and C1043-1 (Encoder Mount), correct? In the BOM there is no mention of C1070-1, C1071-1, nor C1072-2; but the release includes files for those parts, and the WIKI shows pictures of them being used with DC Motors. So for Stepper motors, I won’t need to print these parts, correct? I’m just printing my parts right now (got one printing as I type this). That’s correct, I don’t plan on printing them. In the assembly picture in the wiki, it looks like we could use a simplified part which just consists of the homing pin holder; i.e. the encoder gear minus the teeth. Do you think that would work? I tried to make a new part using Sketchup, but it has been a couple years since I worked with that program. I cut off all the teeth, but I couldn’t recall how to close up the remainder. Do you think it would be possible (or easier) if I started with the freecad file instead of the stl file? 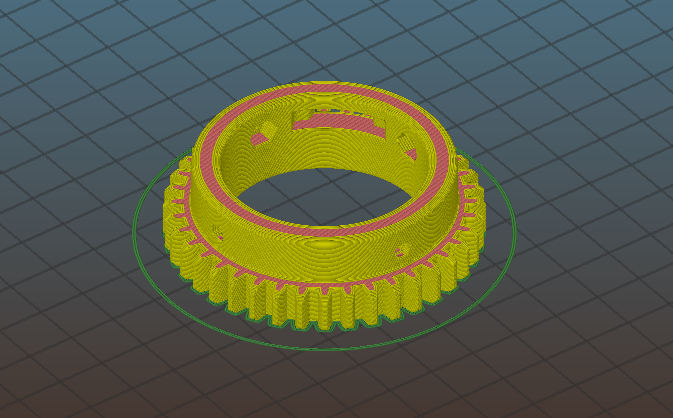 @eejake52, why you don’t want to print the encoder gear - C1040-1. If you want to update your rotator with a more reliable position feedback and control will be use it.